This trip back to Tokyo was the first in a long time where I traveled solo - for the first couple of days at least - so I had a little more time to catch up with various groups of friends. On this trip, I made a little more effort to catch up with friends I haven't seen in a while. On my first day, I was able to catch up with a group of ex-colleagues I used to work with at Wasabi more than a decade ago. Since then some of them have left the investment banking world, choosing to do things in the "real world". Those who are still in banking have moved from being in front office positions to more back office roles, which is also a move that I have made myself during the last few years. It was fun to catch up with them, to exchange stories of our lives over the past decade, and even to listen to some scandalous stories first hand. The second day started with my senpai taking me out to lunch. Senpai was 3 years ahead of me while I was in high school, and our paths crossed again when I first arrived in Hong Kong and found ourselves working together at Wankers. It's rare that I see him Tokyo (usually we meet in Hong Kong), and I requested that he show me a good place for grilled eel. Unagi Idumoya (鰻 いづもや) in Nihonbashi has been in business for almost 60 years, and they know what they're doing when it comes to eel. They were serving eel that was naturally organic farmed by the Okayama University of Science (岡山理大), and we decided to go for that. Wild eel these days is really hard to come by, but I was happy just to have the organically farmed eel. The flavors were very delicate and a little sweeter than usual. Senpai always has my interest at heart, and it's good to spend some quality time with him. Friendships like this, which have spanned decades, need to be cherished. Later that same evening, I met up with an ex-colleague from Wasabi whom I'd already seen on the first night. We share a common passion for food and wine, and it's always a real treat to do dinners together. Another page in our long-standing friendship. On the third day, I decided to do something I haven't done in almost 3 decades. I went back to my old high school. I haven't made it to any gatherings in Tokyo in the last few years - including the 25th reunion last year - but this time I felt the need to reawaken some memories. So I hopped on the subway and headed to Futago-Tamagawa (二子玉川). The station, of course, was still on the banks facing the Tama River, but the entrance and the shopping malls around it have certainly changed in the last 30 years. But first, I met up with another ex-boss from Wasabi, who now runs a chain of shops and restaurants called Lisette (リゼッタ). It's interesting to see that in both of the business, they are offering not just high quality Japanese products but also French-style products with a Japanese bent. I'm glad to see that he's done so well since leaving banking. 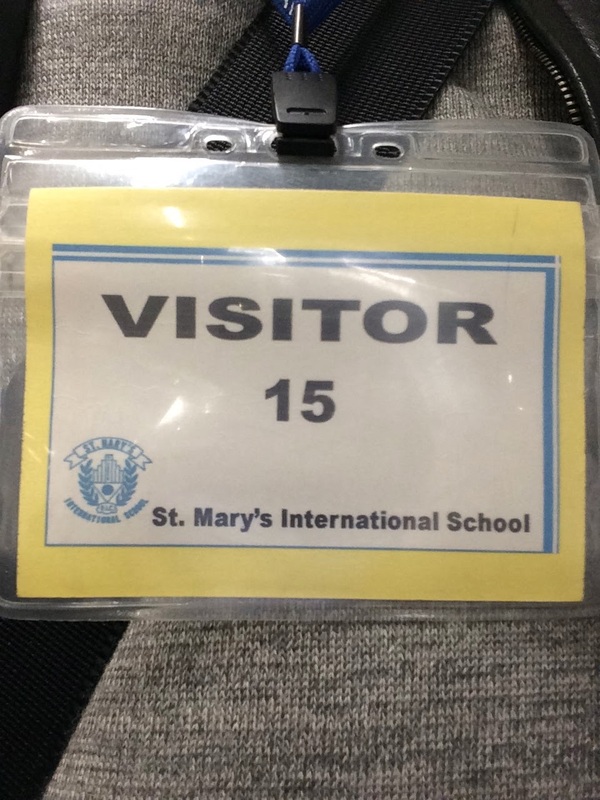 After lunch, I tried to find my way back to St. Mary's International School. 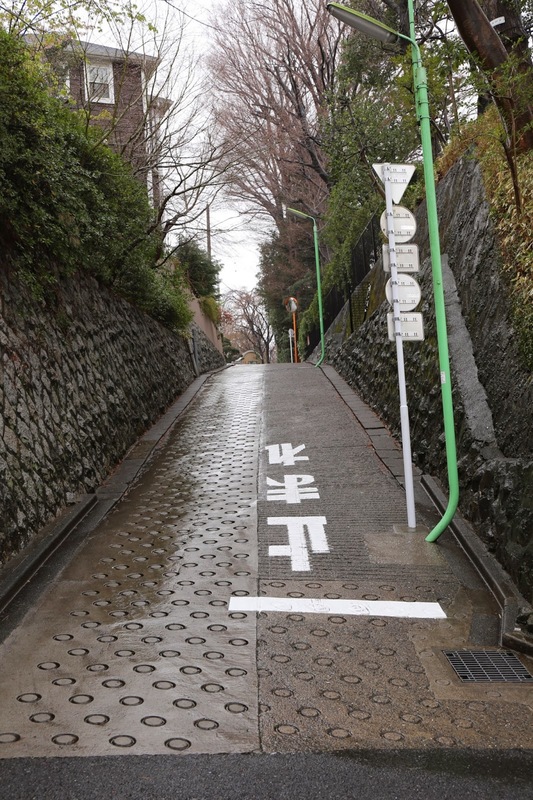 I hadn't walked up the hill from the train station for 3 decades, and things have changed enough that it took me a while to figure my bearings, even with the help of Google Maps on my iPhone. Circling a few blocks finally brought me to the entrance of the school. The grounds have expanded, and not all of it looked familiar now. But it didn't matter. I was back! I stopped by the office to register, letting them know that I am an alumnus who just wanted to walk around and check out the grounds. The students were in class, so I would have the empty hallways mostly to myself. I also stopped by the concession window and bought a few souvenirs like T-shirt, baseball cap...etc. I was pleasantly surprised to come across this screen in the hallway, showing statistics of the amount of solar power harvested by the school. Apparently the school had installed the second-largest array of solar panels in Tokyo back in 2010, and is helping the environment by reducing its carbon footprint. As someone who is somewhat environmentally conscious, I was very, very happy to see that my old school is doing its part! 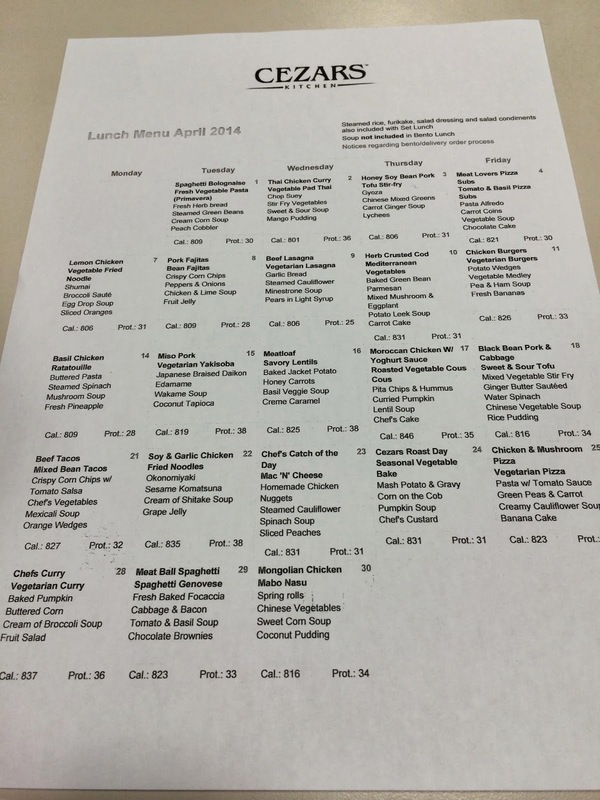 No campus visit would be complete without going to the cafeteria, and I picked up a copy of the menu for April. Honestly, I think the kids are eating pretty well these days! And now they also count the calories!